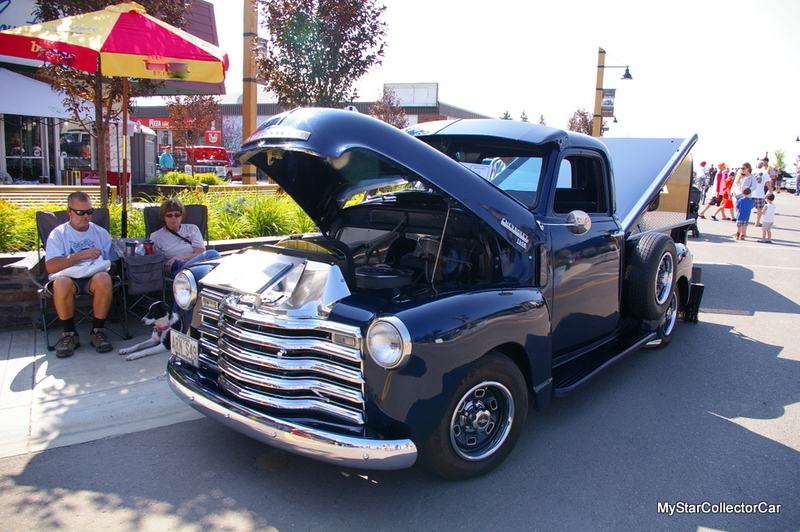 A 1949 Chevrolet 1300 pickup truck is not a MyStarCollectorCar typo–it is the Canadian version of the 1949 Chevrolet 3100 pickup truck built in the United States. 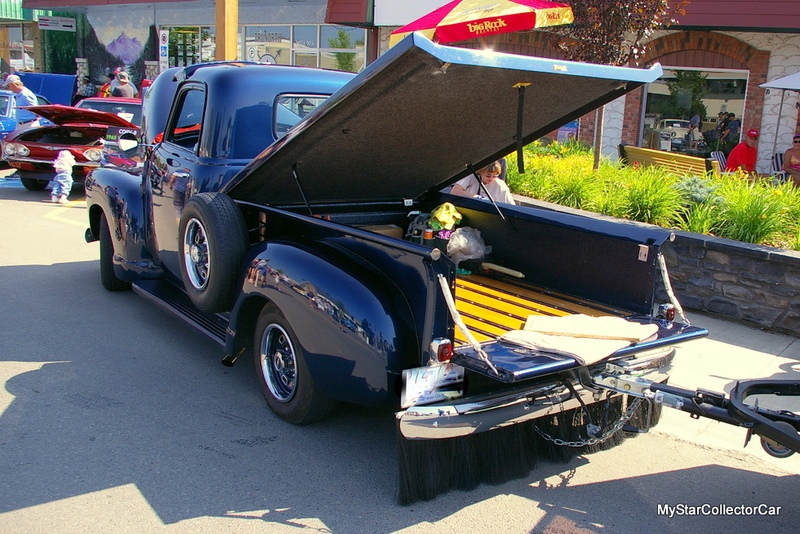 Arnie Scott is the proud owner of a 1949 Chevy 1300 truck that has deep roots in his family. 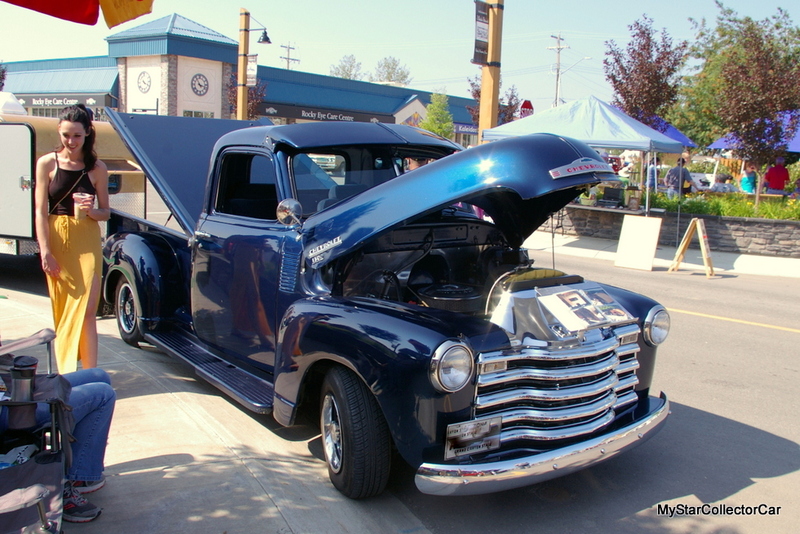 Arnie’s uncle purchased the truck brand new from his local dealership and used the ‘49 Chevy pickup on his farm. 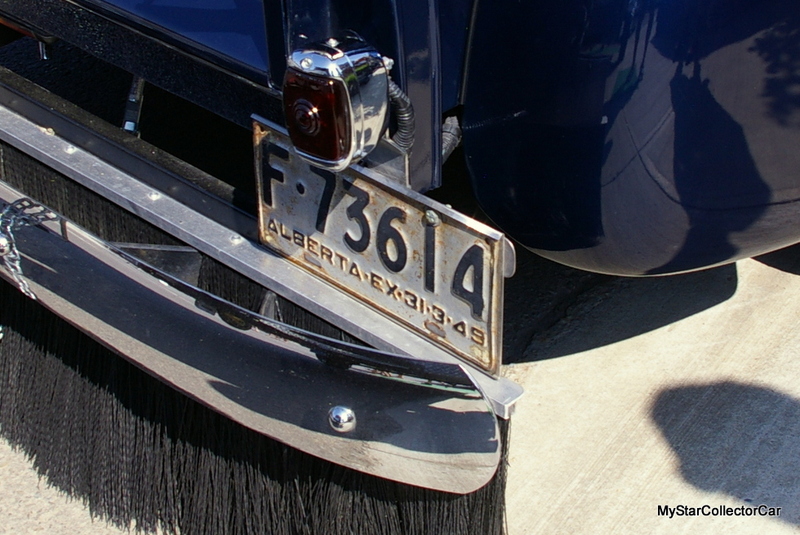 Arnie pointed to the license plate on the truck because it was the original plate bought by his uncle in 1949. Arnie spent time on his uncle’s farm when he was a kid and learned how to drive a manual transmission behind the wheel of the truck when he was only 12 years old. The truck endured many misadventures over the years, including dents and an ill-advised attempt by Arnie and his young colleagues to replace brake fluid with oil and water substitutes. The predictable results meant the brakeless truck was parked for many years on the farm and Arnie was the “last one to drive it” (to its resting place), in his words. Eventually Arnie moved into adulthood and became second owner of the truck about 30 years ago when Arnie’s uncle told him to take the truck and “get rid of the dents”. Arnie tinkered with the truck during the 1990s and used his mechanical training to full advantage during the process. The truck required a major makeover so Arnie bought a 1976 Monte Carlo from a nurse for 400 dollars to eventually use as a donor car after he drove the Monte as a daily driver for a period of time. 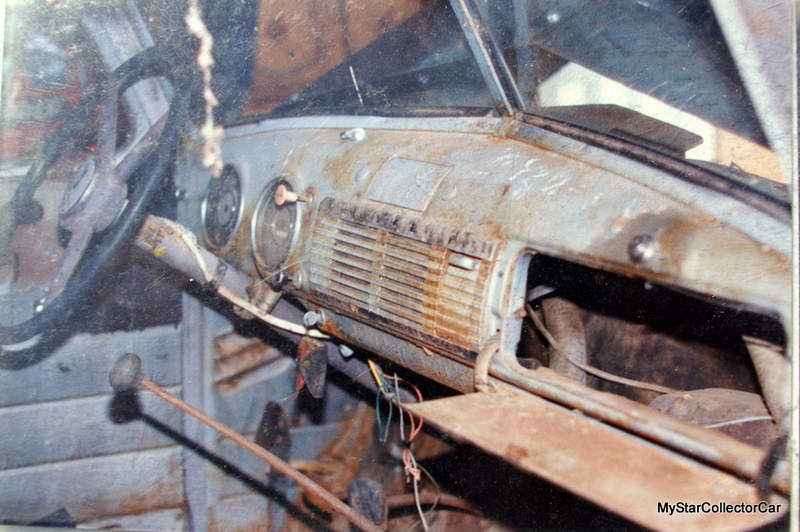 The Chevy truck’s frame was in rough shape and Arnie was unable to find an adequate replacement for the original frame so he used the front end of the Monte Carlo in the project. 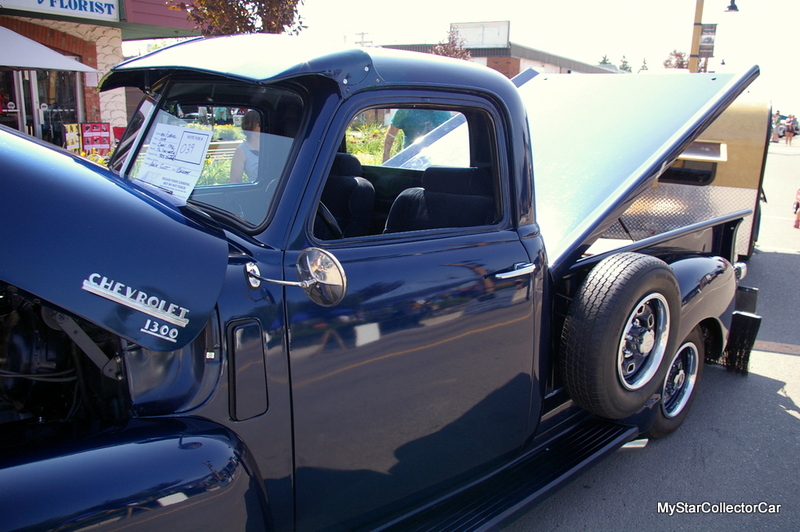 The Monte front end allowed him to upgrade his Chevy to a small block, plus it gave the truck better steering, handling and braking in the bargain. The front end was lowered to the Monte Carlo’s ride height during the transplant and Arnie took three leafs out of the rear suspension to lower the rear end of his truck. 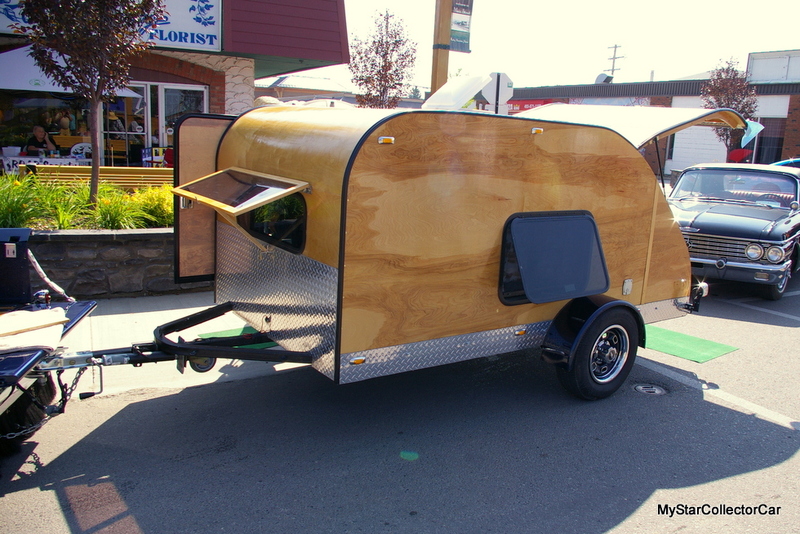 Eventually Arnie settled on an air shock system that gave the truck better stability when he towed his home-built tear drop trailer behind his truck. 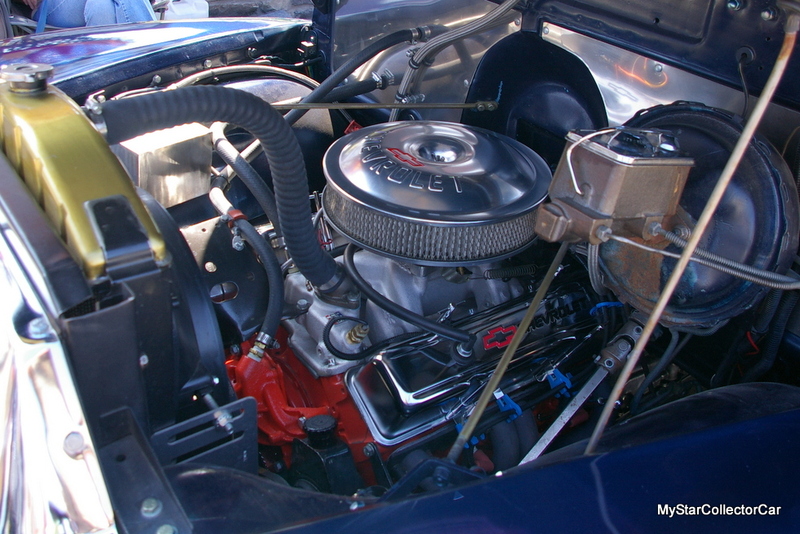 He also replaced the small block Chevy transplant with a 383 stroker so Arnie could get even more power to the rear wheels of his ’49 Chevy. The new engine is bolted up to a 700 R-4 overdrive automatic that gives Arnie performance combined with better mileage because of the lower RPMs. The seat was donated by a 1987 Mercury Grand Marquis and now offers an 8-way power option on the driver’s side. 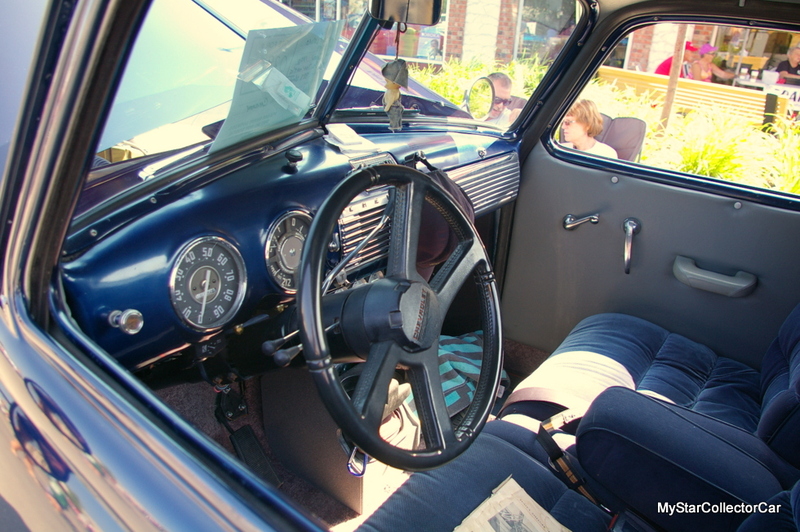 It also has a front disc/rear drum brake system and an electronic ignition that required some custom work on the firewall so the system would fit into the truck. 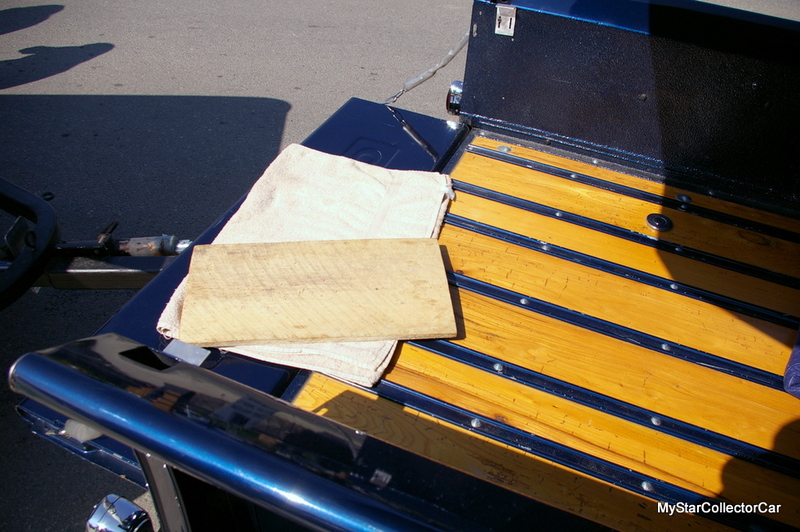 The wood in the truck bed was donated by an old barn and required plenty of work to re-purpose it for use on the truck, according to Arnie. 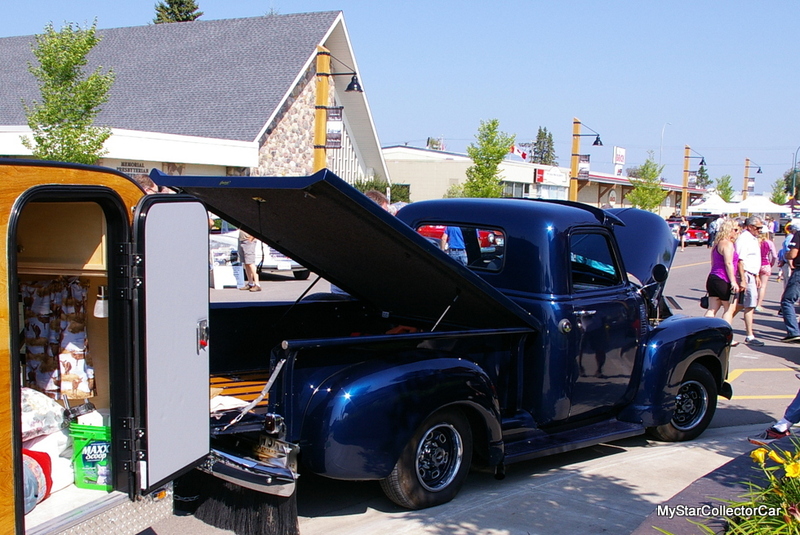 Arnie completed the truck in the early 2000s after he became involved in another project and received great advice from his wife when she told him to complete the ’49 Chevy before he started to work on their classic Camaro. 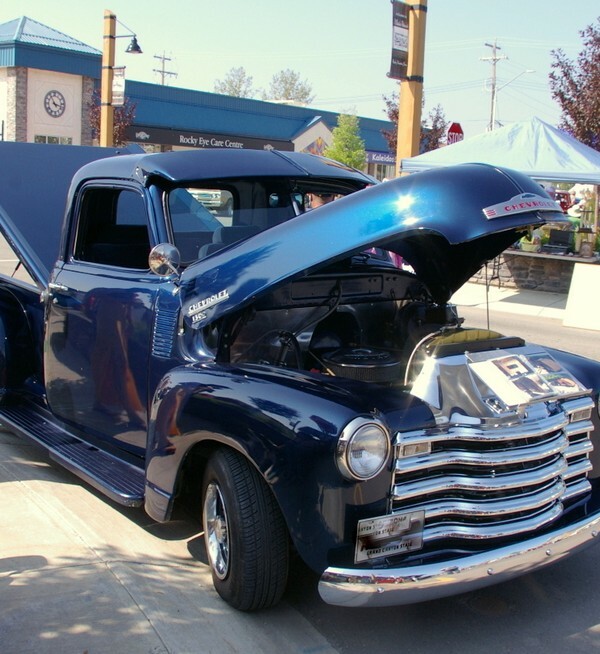 Both vehicles are now on the road but Arnie is very attached to his 70-year-old truck because of its deep roots in his family and his fond childhood memories with the Chevy on his uncle’s farm. 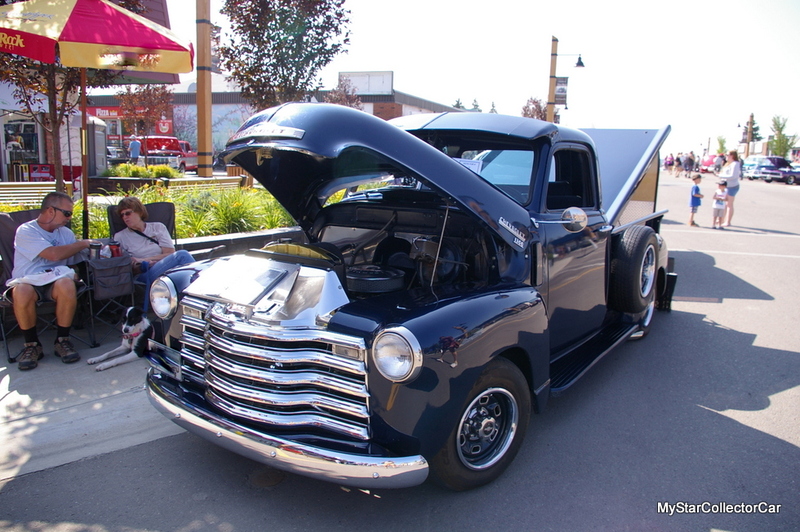 The ’49 Chevy truck has provided so many memories that it is now a priceless heirloom to Arnie-a very fun heirloom.